Since 2014, Sanofi Pasteur has been collaborating with Sanofi’s Connecting Nurses initiative and its partners, such as WeObservatory, to support nursing projects linked to vaccination and infectious disease prevention. The first Call for Innovation in Vaccination launched in 2014 on Care Challenge, the Connecting Nurses online platform dedicated to showcase nurse creativity in education, practice or research, received 13 innovative vaccination projects reflecting the challenges faced by nurses committed to preventing infectious disease worldwide. WeObservatory’s mission is to empower women in eHealth and Telemedicine. As a Connecting Nurses partner, we want to help reinforce nurses and midwifes’ capabilities and knowledge in Information and Communications Technology (ICT) as a tool to support health promotion and disease prevention worldwide, especially in the developing countries. Nurses and midwifes, as health educators, are key actors in health promotion, infectious diseases prevention and immunization. Bringing support to their creative solutions in the field of immunization, optimizing connection and best practices sharing between them can contribute to the reduction of maternal and child morbidity and mortality worldwide. To develop a pilot project and implement associated services fostering knowledge, expertise and best practices sharing between nurses around the world on influenza vaccination. 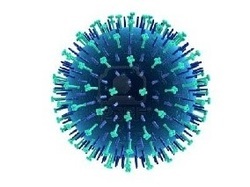 The pilot is expected to be an online module of 3 hours e-learning program around digital applications on influenza disease and immunization, for nurses and midwives, in the context of maternal and child health in precarious conditions and rural communities.